Posted on November 28, 2018 by Mike Sonnenberg Posted in Train Depots	. This is the old train depot in Saginaw. It’s known as the Potter Street Depot because. you guessed it, It’s on Potter Street. It is the second largest depot in Michigan, second to only the Michigan Central Station. 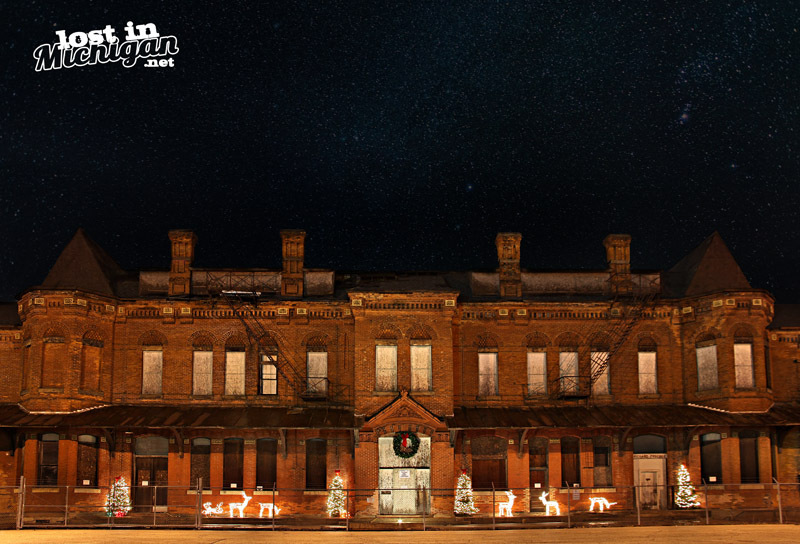 The enormous brick depot in Saginaw is not abandoned, although the railroad no longer uses the building, a preservation group still maintains and preserves it. Hopefully one day it will be given a new life like the depot in Detroit. For now, it quietly sits along the tracks with some holiday lights hoping Santa will not forget about it.